Healthy, refreshing, and simply delicious, smoothies are popular in Mississippi. Some of them pack everything you need for a nutritious meal in a single serving, while others offer a healthy yet savory alternative to sodas and plain water. Best of all, you can put just about any type of fruit or vegetable in a smoothie to create your ideal flavor. 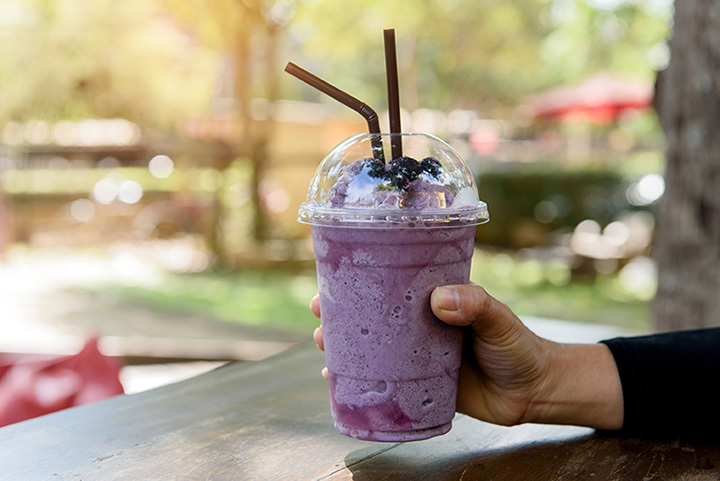 Find your new favorite at one of these seven best smoothie places in Mississippi. With five locations throughout Mississippi, Juva is your headquarters for the best fruit smoothies in the state. They make every smoothie using fresh fruits, vegetables, and optional healthy add-ins (like peanut butter or chia seeds), which results in a drink that’s chock full of health power. Yes, something that’s good for you can taste delicious, and Juva proves it. Smoothie Q was born to give you the protein and energy boost you need for an optimal workout. Every smoothie is designed with proper nutrition in mind to help you reach your fitness goals. Talk to them about what you’re wanting to accomplish, be it lean muscle or fat loss, and they’ll whip up a smoothie just for you. Fresh is in their name for a reason. This national juice and smoothie chain only has a few locations in Mississippi, so you won’t want to miss your chance to try them. Their mission is to improve the way you eat, and their exceptional smoothies do the trick. This locally-owned cafe and smoothie haven’s bluesy look and feel make every visit enjoyable. They focus on offering all things healthy, especially when it comes to their smoothie lineup. Offering organic, whole foods and a variety of fresh flavors you won’t find on every menu, these guys know what it takes to create something that’s as wholesome as it is tasty. The smoothies here taste so fresh you’d think they came straight from the farm. Using only high-quality ingredients that have been carefully sourced, Nura Juice Bar is committed to creating healthy smoothies. Fans rave about the smoothie bowls that give them a desirable alternative to fast food. Whether you’re looking to lose weight, build muscle, or cut sugar cravings, there’s a smoothie for you here. They feature a variety of flavor combinations with add-ins that can help you reach your goals. You can include protein and other stacks to make a unique concoction that’s all your own. Fresh, local, and organic—Naturel will leave you wanting for nothing. They feature the best of the best ingredients to ensure you’re not fueling your body with excess sugar and other fillers. It’s as natural as picking the fruits and vegetables yourself, only without the work.